If you enjoy James Bond movies and the cars in them a great infographic has been created detailing all the vehicles driven by the legendary British agent 007 over the last 45 years. From the Bentley Mark IV right through to the Aston Martin DBS used in the Quantum of Solace film released in 2008. At the bottom of the infographic after the jump there is also a small graphic showing James Bonds preferred modes of transport. 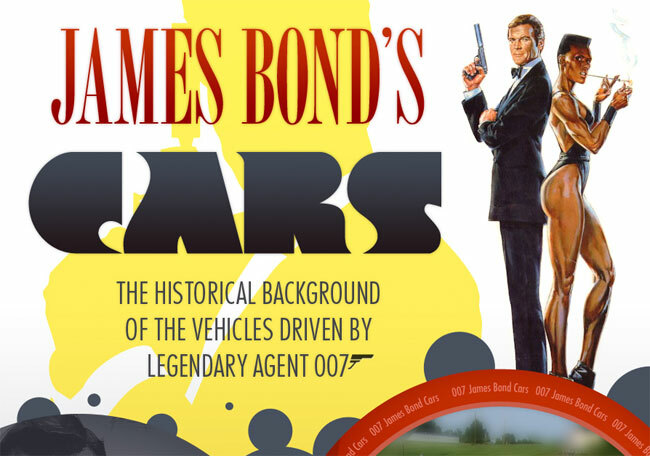 This great infographic for james Bond fans has been created and put together by the Car Buzz website who explain that “All facts mentioned above were gathered with extraordinary caution and daring courage.”. Enjoy!